We at RPPG are very proud of our ability to manufacture and produce a huge range of different projects. 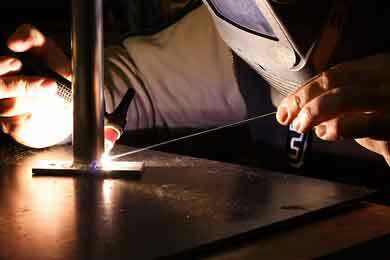 Our custom fabrication services are designed to cover anything you may have in mind. We have the experience of working on things ranging from simple projects to very complex ones. No matter the size or difficulty we have the equipment and the expertise to get it done. Below you can see our list of equipment that we have on hand to use to complete your project. We incorporate the use of the industry's leading design software, and recently acquire SolidWorks to help us help you. With the combination of years of practice, the highest quality design software, and a vast array of hardware to build with, you can be sure that anything you throw our way will never be out of reach. 1 ea. Index Machine Horizontal Mill 9" x 38"
1 ea. Cadillac Lathe 20" x 6 ft.
1 ea. Logan Lathe 10" x 36"
1 ea. Carroll-Jamieson Lathe 18" x 40"
1 ea. Atlas Lathe 6" x 20"
1 ea. South Bend Lathe 4 1/2" x 9"